On September 20, 2017, Hurricane Maria made landfall in Puerto Rico. A historic category 5 storm, its impact has dramatically deepened the political and economic crisis the population was already facing. More than 200,000 families lost their homes, the death toll is more than 3,000, and thousands of people have left the island entirely. Still, Hurricane Maria also unveiled something beautiful: the strength of communities, particularly when we recognize and value the leadership of women. Days after Hurricane Maria, CPD affiliate Taller Salud followed the lead of women in their community of Loiza, who quickly moved to organize food, rescue and care for their people. 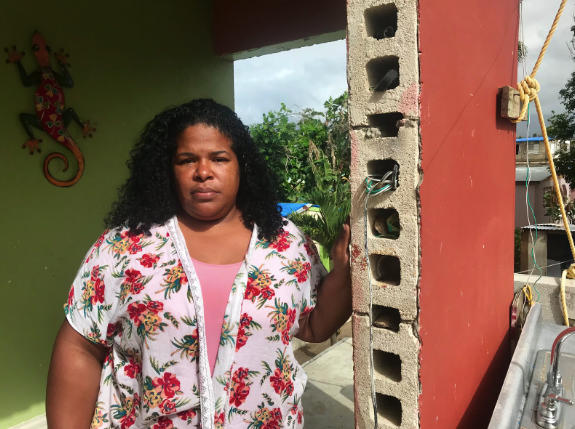 They identified and supported women leaders like Miliam, 34, mother of two young girls, who lost her home during Hurricane Maria. Miliam organized her neighborhood and provided food and shelter for more than 2,000 people during the first weeks of the emergency. Taller Salud has recognized and invested in the leadership of dozens women leaders, creating a web of support that provided immediate assistance to 16,000 people in Loíza -- which represents more than 60% of the town’s population. Taller Salud’s impact was also national, reaching an additional 4,000 more people in 14 towns across the island. In the absence of an adequate official emergency response, and with public institutions collapsing under privatization and debt, organizations like Taller Salud have been a crucial infrastructure for immediate relief and long-term recovery in Puerto Rico. Taller Salud continues to focus on supporting women like Miliam, recognizing that long-term recovery efforts require investing in women leaders of the communities of Loíza. Support Taller Salud to guarantee women directly impacted by disaster can continue to dedicate their time, ideas and willpower for the common good of their communities in Puerto Rico.